This topic is often discussed at E-Discovery conferences but seldom presented. Listen to this brave panel of attorneys and nationally known educator of judges on electronic discovery principles, Ken Withers, as they tackle this topic. Some general war stories these attorneys have heard from their colleagues over the years will be shared. 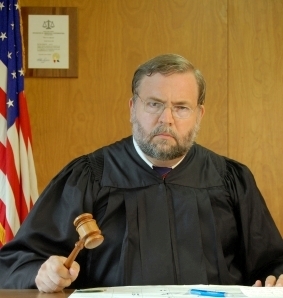 The goal of this podcast is to offer constructive advice for judges and lawyers on what can go wrong from the defense perspective when a judge comes down too hard on them. The panelists are: (1) Steven Badger a member of the Bose McKinney & Evans Litigation Group in Indianapolis, Indiana; (2) Cecil Lynn of Ryley Carlock & Applewhite’s nationally recognized Document Control Group based in Phoenix, Arizona and an active participant with The Sedona Conference; and (3)Ken Withers, the Director of Judicial Education and Content for The Sedona Conference, an Arizona-based non-profit law and policy think-tank which has been on the forefront of issues involving complex litigation, intellectual property and antitrust law. Some third party war stories will be shared and then the panel will dive into where the issues are most often felt and what some of the solutions to this problem are. We will identify some of the differences between judges and forums, talk a bit about how judges are educated by The Sedona Conference, and discuss how and whether judges operating under different sets of rules in state court versus federal court can approach electronic discovery.